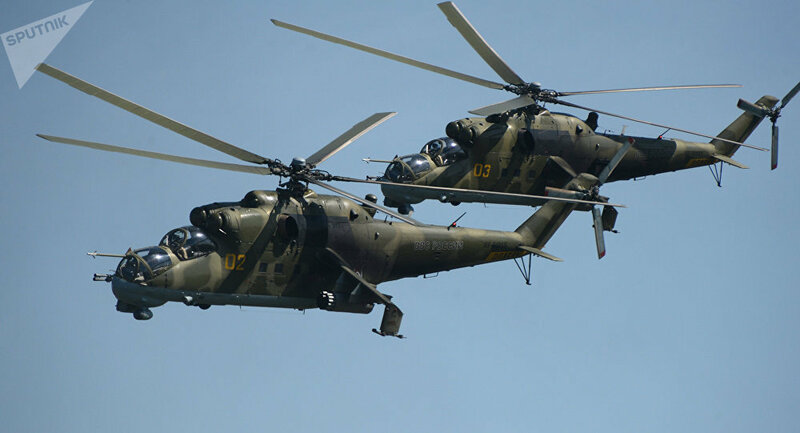 Pakistan and Russia are in talks on sales of helicopters, air defense systems and modernized tanks, Defense Minister of Pakistan Khawaja Asif told Sputnik on Wednesday. MOSCOW (Sputnik) — Pakistan is eyeing to modernize its Air Force, Asif said on the sidelines of the fifth Moscow Conference on International Security. "We are in touch with Russia on different types of weapons such as helicopters, we are even considering the Russian air defense system and advanced tanks. We are also exploring possibility to update and modernize our Air Force," Asif said on the sidelines of the fifth Moscow Conference on International Security. According to Asif, Pakistan is seeking to expand its cooperation with Russia in different spheres, including regional security and counter-terrorism. "We are looking forward to expanding our cooperation with Russia in all facets of our relationship but mostly we are looking forward to increasing our defense cooperation. We also look forward to working closely on regional peace and in the fight against terrorism," the minister added. Military ties between the two countries date back to the 1960s, when Pakistan imported defense equipment from the Soviet Union. In November 2014, Russia and Pakistan signed a deal on cooperation between their defense ministries. The agreement was followed by a contract for the sale of four Mi-35M transport and attack helicopters to Pakistan, signed in August 2015.